Toyotaâ€™s (and by proxy the Vibe) are the worst on the market for beeps. Door open key in the ignition, Key in the ignition with no seatbelt, Driving over 5mph with someone or something in the passenger seat, Traction control going off, ABS going off. Key out of ignition headlights onâ€¦ this is the only useful one. I have what some may call an aversion to things beeping. Many things set this off: Cell phones, default computer sounds, and automobile beeps. Today I finally did something about it, and I took pictures. When I read about the â€œHow To : Disable Seatbelt Beepâ€ on Matrixowners, I was so happy. http://matrixowners.com/index.php?showtopic=45649" onclick="window.open(this.href);return false; . Sadly this fix did not eliminate all beeps. A while back I was developing white faced gauges for the Matrix/Vibe, that didnâ€™t go very well due to the dark plastic that covers the gauges. Luckily, I hung on to the 03-04 and 05-08 gauges I purchased on eBay, and was able to test this hack on these without damaging the cluster in my Vibe. Disclaimer : As with any modification this may void your warrantee, and I am not responsible for the damage you may do to your automobile. Always wear your seatbelt, Click-it-or-Ticket. I always wear my seatbelt. I have verified this mod can be performed on 03-04 Matrix/Vibes (all models), and 05-08 Matrix/Vibes (all models). This mod may also work on other Toyota cars such as the Corolla, Celica, and MR2. If you verify this fix works on other vehicles please post up. Remove the gauge cluster from the dash. Lower the Steering wheel to the lowest setting, and lock it in place. On a Matrix/Vibe pull on the round chrome shroud that surrounds the gauge cluster (it will come off easily). There is one Philips head screw, that needs to be removed at the top center. There are two clips that hold the gauge cluster in place, on the far left and right bottom. With a flash light you should be able to see them. With your screwdriver push the top of the clip, and it should come loose. The arrow below shows where to push on the clip. When the cluster is free, move the bottom forward and the top back. Then disconnect the wiring harnessâ€™ (03-04 has one harness, 05-08 has two). Then remove it from the dash, and take it to a well lit place. On the back there are 10-11 screws that need to be removed. Donâ€™t take the front plastic off, we donâ€™t want to move the needles around, they are a pain to calibrate. Now that the back is off it should look like this. The Black round speaker looking thing is what we are going for. Take a flat head screw driver, and carefully pry it up on one side. Once both sides are up a bit the speaker will pull right off. Next bend the leads down, just make sure they are not touching. Reassemble everything, making sure all screws are used. Installing the cluster is the reverse of the removal. There you have it, just make sure to turn your headlights off, and live beep free. Last edited by SeattleJeremy on Thu Aug 09, 2012 9:42 pm, edited 2 times in total. Excellent Write Up! !This Just got added to the Mod Index! One sugestion i would add would be that instead of a resistor or nothing to wire in a led or somesort of light to indicate the warning the audiable one used to. Even better would be to just stick a small piece of tape over the hole in the speaker. The beep would be nearly inaudible, and actually mounted in the vehicle facing away with an engine running would be practically inaudible. Those little piezoelectric beepers get muffled very easily. Quote, originally posted by zionzr2 Â»One sugestion i would add would be that instead of a resistor or nothing to wire in a led or somesort of light to indicate the warning the audiable one used to.The tricky part about putting a light there is these types of speakers don't us much power, maybe an LED would work.But the light would not be seen at all because this is on the back of the gauge cluster, and it's likely to not be seen at all. Quote, originally posted by psiu Â»Even better would be to just stick a small piece of tape over the hole in the speaker. The beep would be nearly inaudible, and actually mounted in the vehicle facing away with an engine running would be practically inaudible. Those little piezoelectric beepers get muffled very easily.Yes, this is another option. Maybe some foam tape, to insulate it more, would have been better for most people. For me, I wanted to be 100% sure I would not hear the beeps again. Thanks for the comments guys! I was a bit hesitant to disable all the beeps, but instead tried to reduce the level of the beeps as has been suggested. I used hot melt glue, both around the base and over the top sound hole.I found that by covering the top sound hole I could reduce the sound down to about a 1/4 of full volume. I then tried again with squeezing some hot melt glue into the top sound hole as well as covering the top sound hole and was able to reduce the sound to about 1/10th of what full volume was. Couldn't you just keep your lights on automatic and leave it at that so you never have to bother with turning them on or off? That way you don't have to worry about leaving them on or anything again. Thanks, been wanting to unhook that speaker for years...couldn't find it...no wonder. Like to play the stereo with the doors open without the incessant annoyance. Beware of frosty fall mornings and mountain roads. Mods: Strut bar, Typhoon air intake, 8x16 mag rims, 225/45 rubber, trailer hitch. I'm about to do this, thougt I'd bump it in case anyone's interested. I have to say that this post was useful for me, even years later, just for the matrix link to disable the seatbelt beeping. CANNOT say THANKS enough for that! The ~1 min beeping every time I set my backpack in the passenger seat was intolerable (stupid, heavy grad school books too). Fasten the belt - it goes away. At my age I need all the reminders I can get. And I'm hard of hearing so the beeps aren't that bothersome. I can barely notice the turn signal clicks. 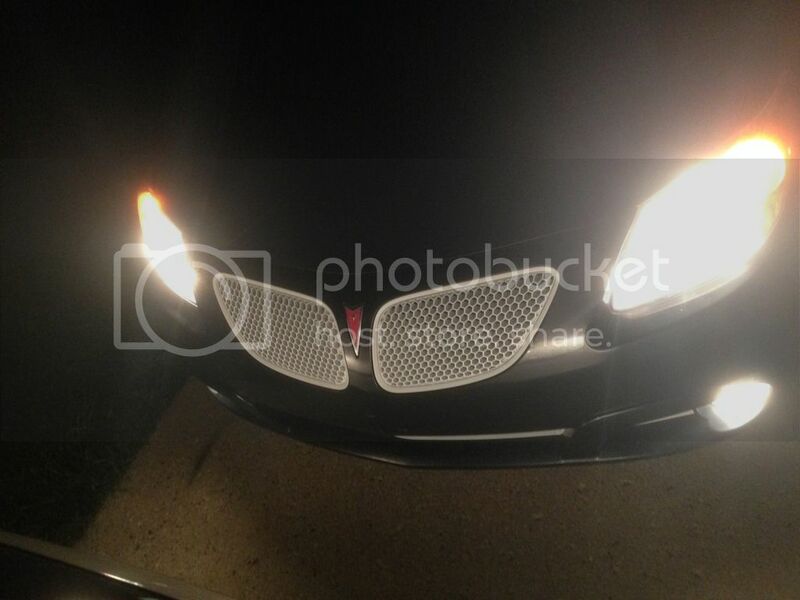 This has just been added to my to-do list of mods for the car. Wait, are you saying that this mod disables auto-headlights or that you disabled your auto-headlights for something else? As long as the auto-headlights still work, there shouldn't be a problem here. Plus, I always keep a battery jump box in my car just in case. My Vibe annoys no longer! ...I did mine the other day...easy...thanks!! My Vibe now has more than 185k miles and I am just as happy with this mod as I was when I did it. Thanks for the awesome write-up. I would have done this years ago if I had found you guys and realized how simple it was to achieve this wonderful, glorious, awe inspiring result!! Haha I use my beeping to "attack" my passengers and teach them whatever lesson is needed at the time. A minute of all the beeps going off before we back out the driveway is usually enough to get my passengers to agree to anything. Either way, thank you for taking the time to continue helping others with this model. And to think I went out of my way to INSTALL a beeper in my Civic Wagons so I wouldn't leave the headlights on! The key is being able to select which events are beep-worthy and which are not. It's all about control. huh, and I'd do anything to add some "Toyota beeping" to my Vibe. Specifically, I find it criminal that our Vibes did not come with the ability to locate our car using the remote. It sure would come in handy in a crowded airport parking lot/garage after returning from a trip, or even a crowded mall shopping plaza when it is raining and you want to get to the car as fast as possible. All Corollas assembled right behind ours have the "lock button beep." I sure wish ours did. I guess we are left to hit the panic button and really annoy those around us. Hey, anybody knows if the modif is the same for 2010 model? Sorry, I haven't been able to find a picture of the 09+ circuit broad. As near as I can tell, if you get an aftermarket car alarm, a lot of those beeps and boops are programmable. Oh - and if I am close enough to my car to set of the alarm with my remote, I'm close enough to see the lights flash.